My overarching responsibility as President is to oversee continued progress toward our visions and goals through the coordination of all organization elements here at San Diego. I bridge the gap between educational development and logistical coordination, both of which are critical to the successful delivery of SENDforC programs. I aim to build a solid foundation of educational curriculum, school relationships, and procedural guidelines that can be used as the basis for accelerated growth for the San Diego chapter, while inspiring our officers, mentors, members, and students to embody the entrepreneurial and research-based principles which define the organization’s vision. Career Goals: Joining the medical profession as a physician-researcher while contributing toward the reshaping of healthcare accessibility. Double roles meet double major. Currently an undergrad at UCSD, studying Economics and Computer Science, Robert’s passion for STEM lies in the chance to provide young learners an analytical toolkit to navigate STEM fields more confidently. A major proponent of equality of opportunity, Robert aims to show educators and learners alike that there are practical and easilyy navigable paths to any career. Having experience as an officer for Phi Beta Lambda (FBLA university-level) and at companies such as SMC Software, Robert has a track record of working on ambitious projects and delivering high-quality end-user experiences.Originally having no interest in volunteer work, the recommendation of the org by a mentor peaked his interest. Currently I am responsible for all marketing efforts for the UC San Diego Chapter. 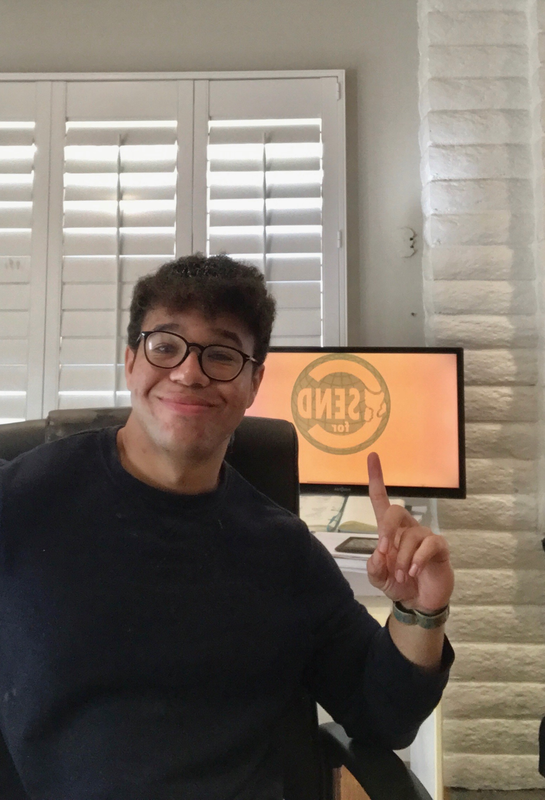 I truly believe in the SENDforC mission so my goal is to involve as many student mentors and track leads as possible with the surrounding San Diego schools. Education is the true equalizer in society today, so what better way to help underserved students than to pique their interests in subjects not available in their classrooms! Career Goals: Currently it is to become a Venture Capitalist. However I would love to incorporate other passions of mine into a dream job involving art, fashion, investing and business. Research Experience: Investigating the differences and variations in college/university support among minority students. My goal for this program is to introduce STEM related education to young children and show them the fun and amazing knowledge that science can provide. I hope by making science fun, this younger generation will develop a passion for science that may encourage them to pursue careers in STEM fields. Affiliations: C0-President of the Pre-Physician Assistant Student Organization. ER medical scribe for Escondido Palomar Medical Center. Research: In the summers of 2016 & 2017, I was an intern at the UC San Francisco Global Health Department. I was a part of the Bihar Project, which aimed to lower the neonatal and maternal mortality rates in Bihar, India. Career Goals: Physician helping underserved communities around the world while actively working to improve healthcare. Research Experience: CRISPR related work. Circadian rhythms. Wnt pathways. I joined SENDforC in the summer of 2018. I wasn’t expecting much at first, it was simply something to fill up my time during the summer. However, after our first lesson at the Boys and Girls Club of Greater San Diego, I saw how much of an impact we can have on the children. They were just so enthusiastic and excited about learning. Whenever we asked a question, majority of them would raise their hands or even just shout out the answer...far from what we see in UCSD’s lecture halls. It’s been an extremely fulfilling experience so far. I’ve learned so much from the kids and the amazing and hard working members from the organization. Research Experience: Shadowed PhD candidate in The Swire Institute of Marine Sciences whose research focused on predator-prey relationships under different pH levels to mimic ocean acidified environments. Shadowed PhD candidate in The University of Hong Kong, worked on a bottom trawl boat, managed the CTD instrument. Fun fact: framed a horseshoe crab shell that was collected from sample. I want to just have fun teaching kids. I love teaching science and math to kids because they have limitless curiosities. Career Goals: I hope to become a pediatrician but would also love to teach on the side. I also would love to write science fiction stories and do science writing.